Something weird’s happening. 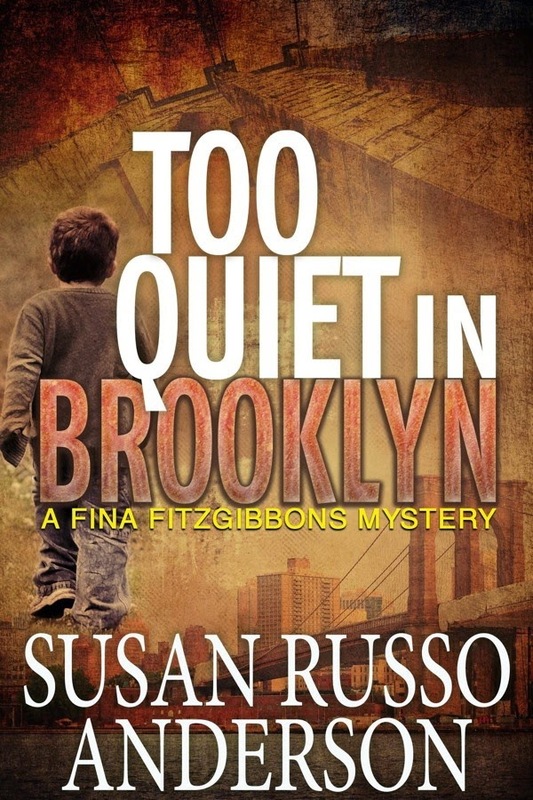 It’s too quiet, at least for Brooklyn, so twenty-two-year-old Fina Fitzgibbons is not surprised when she stumbles upon a throttled woman in the heart of Brooklyn Heights and discovers that the dead woman’s four-year-old grandson is also missing. She begins a wild hunt for the strangler-kidnapper, Ralph. During the chase, she resists falling in love with her boyfriend, Denny, an NYPD patrol officer, steps on the toes of Detective First Grade Jane Templeton, and uncovers secrets about her own past. In the end, Ralph has a deadly surprise for Fina. When did you realize you wanted to be a writer? 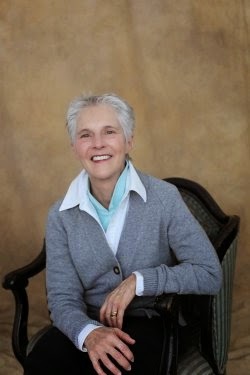 I’ve always thought word stringing was a great place to be, but after my husband died nine years ago, I got bitten by storyline and started to write mysteries. What was your favorite book as a child? Great question. Favorite book of all time: Fell in love with Paris through the hobo in A Family Under the Bridge. But there were lots of writers and books I loved: whoever wrote the Nancy Drew books, as well as Georges Simenon, Ross MacDonald, Agatha Christie, James Joyce (not that I understood him when I was ten, but I loved the sound of language), T.S. Eliot, lots of early twentieth-century American writers, even Hemingway. Love love love A Moveable Feast. What is your writing day like? I get up in the morning and write which I do until noon. I work on two books at one time, writing a first draft in the morning, editing in the afternoon. After editing, I market (work on a marketing plan). When I take a break, I walk, which is how I plot or listen to a book or music. I read in the late afternoon until dinner. While watching TV, I tweet and Facebook. Do you have any interesting writing quirks? No, I’m pretty boring. Just consistent. What was the most surprising thing you learned while creating this book? 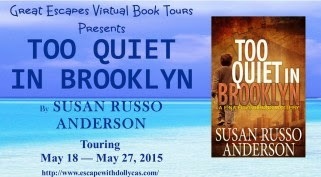 The book takes place in Brooklyn where I lived for fifteen years in the late 1980s until 2002. When I started the book, I hadn’t been back, but as I wrote, it was like I’d never left. I could feel the rumble of the subway around Clark Street, smell the ocean (aka, fish), feel the wind, the planks beneath my feet while walking across the Brooklyn Bridge. Toward the end, I made a visit, a physical visit, and it was the same: Brooklyn was me and I was Brooklyn. So I learned you can be anyplace you want to be in your head: i.e., free. Who are your favorite authors? Love P.D. James, Flannery O’Connor, Hilary Mantel, Margaret Atwood, James Joyce, T.S. Eliot, William Faulkner, Agatha Christie, Virginia Wolfe, Reginald Hill, Val McDermid, Anne Tyler, Anne Perry, Ann Cleeves, Ann Beattie (if you want your daughter to be a writer, name her Ann), I know I’m leaving someone out. What is your next writing project? 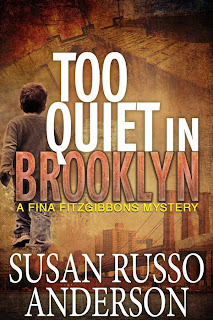 I just finished the first draft of the fourth Fina Fitzgibbons Brooklyn mystery and I’m starting a new mystery, also set in Brooklyn but it might be a new series, I don’t know the protagonist yet. She might be Maddie, a ten-year-old I created (or who created me) in Whiskey’s Gone. One lucky winner will win an eBook copy of Too Quiet in Brooklyn. As a Brooklyn native a mystery set there perfection. This one sounds like a fun, easy read! Definitely the type of book I enjoy! Sounds like a good read. Thanks for the chance to win this book. This sounds fabulous, the perfect Summer read to take to the beach or on vacation!